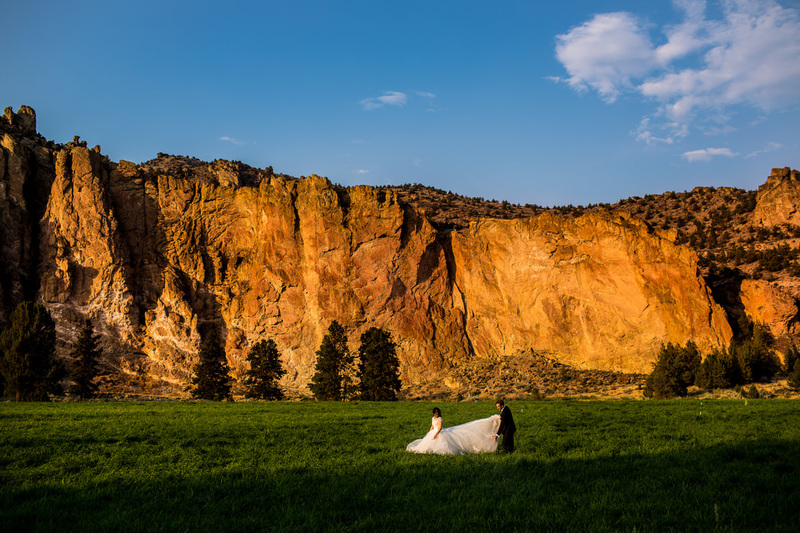 Ranch at the Canyons in Central Oregon is a luxury venue with spectacular views. With two on-site locations suited for up to 200 guests, the Tuscan stables venue is our favorite. True to its name, the stucco sided mansion gives a nod to the villas of Italy while the surrounding canyons of central Oregon bring visions of Tuscany. Ideal for the discerning bride and groom who love wineries, stunning vistas, and Central Oregon in all it’s wedding venue finest. As Portland Photographers we have often driven through the region capturing wedding portraits and wedding highlights alike while enjoying their superb selection of house-made wines. Brian and Vivian wanted to treat their friends from far and wide to a truly Oregon experience. They couldn’t have picked a better backdrop.